When my second daughter was born with Down syndrome, she challenged what I viewed as perfect, worthy, important, and valuable in life. I had wrongfully received her as a broken baby because of my negative disability attitudes, only to quickly recognize that I was the broken one. The treasures I have discovered along the way remind me that our greatest contributions are not found in our strength, performance, eloquence, or confidence. They are found in our own brokenness as we allow God’s love and compassion to transform our lives. In this blog I write with gritty honesty and openness on issues of faith, disability, parenting, and adoption. Once in a while I even write confessions related to these topics. What you will find here is sometimes raw, but it’s real, because life is messy, and broken, and beautiful. Outside of this blog, I am the Parenting Editor at The Mighty. I’ve also written for the Huffington Post, Charisma Magazine, Focus on the Family, Momsense, Kid’s Nation Magazine, Irresistible Church blog, LifeWay’s ParentLife blog and magazine, and other publications. I’m the Special Needs Ministry columnists for Group and the Special Needs Parenting columnist for ParentLife. I’m a contributing writer to the book, Gifts 2: How People With Down Syndrome Enrich the World, and to the SpiritLed Women’s Bible. On the other hand, I dream of writing fiction and winning a Newberry medal. We all have dreams, right? I am an avid reader and if I can’t read then I listen to books on tape. I’m also a national speaker and present on issues of faith, disability, parenting, and adoption. I speak at churches, women’s groups, women’s conferences, ministry conferences, small groups, schools and retreats. I often present on The 5 Stages of disability attitudes. If you want your church to start a disability ministry, or if your church is already doing disability ministry, make sure to listen to this presentation. I host a podcast with my best friend, Erin, it’s called: Unexceptional Moms: Hope and Encouragement for Special Needs Parents. We are on iTunes, and you should stop by and listen to one of our shows! Besides being a writer and speaker, my most important roles are within my family. My husband, Andy, really is my better half and I don’t mind admitting to it. I wish I was more like him. He was a pastor for 13 years before pursuing a career as a Licensed Professional Counselor. So for 13 years I was a pastor’s wife, but please know that I am a broken person with much need of grace. I never played the piano and I can’t sing. Instead, I teach Zumba. We have 3 girls. Ellie, our oldest, is a talented little artist and one of the most accepting and compassionate human beings I know. Nichole is our youngest, she has Down syndrome, and she’s a rascal. Sometimes I wonder if we should’ve named her Joy because she brings immeasurable joy to our family. She loves big and. Then there’s Nina, our middle child, who joined our family through international adoption; she has cerebral palsy. She’s kind and loves making people laugh. She is also a kid that won’t hesitate to share anything with you. Even chocolate! I never thought I would end up being the mom of a child with a disability, let alone two of them. Nevertheless, in many ways disability defines our family and it has defined our church and ministry too. You want to know one of the biggest passions that developed out of the children I have? To see the church embrace persons with disabilities. Not out of pity or out of service, but out of a genuine understanding, acceptance, and celebration of their life. My oldest daughter says the passion I have towards this effort is my, “job from God,” I believe that too. So I founded Disability Matters, an organization with the mission to encourage every church to embrace disability and the vision to see disability as an organic part of every church. I also host The Accessible Church Podcast, a ministry of Disability Matters. I teach on-line courses for special needs parents, which are only open for enrollment a few times a year. If you want to know the next one available, make sure you sign up for my email list. I am a Latin girl, born and raised in Mexico City. I moved to the United States when I was 17 and thankfully I was already bilingual. English has become my first language. I don’t think I have an accent, but there are some words that give me trouble because of the many vowel sounds and combinations in the English language. The only way for you to find out is to listen to one of our podcasts, which you should! On the other hand, I can roll my Rs like a champion, can you? Now that you're here, let's get connected! 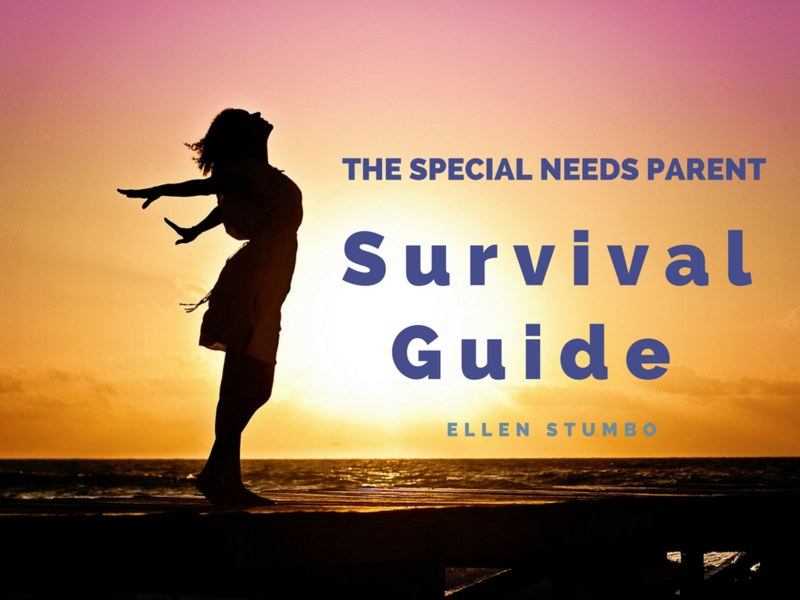 Just for you, I created a simple guide with 13 practical ways to help you find peace in the midst of chaos, It’s the Special Needs parent Survival Guide, and all you have to do is opt in to receive it. Yes, send me the survival guide! >>> Special Needs Parent, Are You Surviving?